Two drivers were seriously injured in a wrong-way crash early Monday morning on interstate 17 in Phoenix. Around 12:30 a.m., the Arizona Department of Transportation began receiving calls that a vehicle was going south in the northbound lanes of the interstate near Bell Road. According to police, a 37-year-old woman crashed head-on into a vehicle being driven by an 18-year-old man. Both drivers were in red SUVs and had to be extricated from the vehicles. The northbound section of I-17 was reopened before 5 a.m. According to a Good Samaritan who went to render aid, he smelled alcohol from the vehicle of the wrong-way driver. The accident is still being investigated, but the woman could face charges of aggravated assault and DUI. In 2014, more than 1,600 head-on accidents were reported in Arizona. Last month, the state announced its plans to test the use of sensors to detect wrong way drivers. The Department of Transportation (DOT) has not yet decided where on Interstate 117 the tests would be conducted. However, the sensors would be installed every few miles and a notification would instantly be sent to the Traffic Operations Center and the Department of Public Safety. Although the DOT has installed wrong way and do not enter signs on interstate on-ramps, 65 percent of drivers involved in these types of accidents were driving under the influence. If the driver fails to heed the warning signs, the results are deadly. 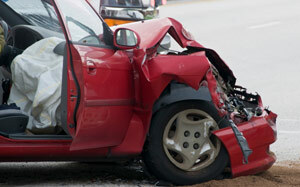 Between 2009 and 2011, there were more than 80 wrong-way collisions in Arizona, with 41 fatalities reported. Seventeen of those accidents occurred on Interstate 10, six others were on I-17. Wrong-way accidents have the highest fatality rate compared to any other type of highway accident. Motorists are asked to call 911 immediately after seeing a driver traveling the wrong way. If you or someone you love has been hurt in a wrong way crash, contact the experienced auto accident attorneys at Phillips Law Group. Our injury attorneys offer free legal consultations and can help you and your family determine your legal options. Call (602) 258-8888 or fill out a Free Case Review.